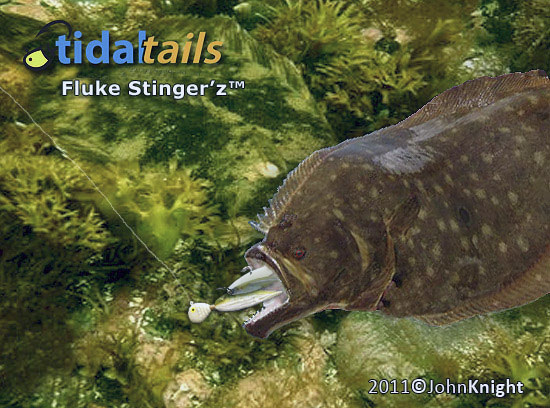 Fluke Rat'z™ - Summer Flounder (Fluke Jigs). Unique Fluke Jig'z - Our Trademark Lure. Less Hang Up and More Fluke. 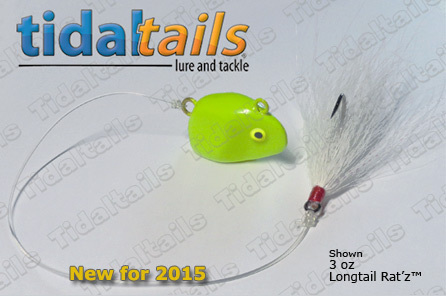 The tapered nose, flat bottom and body contour make the Fluke Rat'z™ one of the best jigs for catching fluke. Lazer Sharp Nickel Hooks, with a post baked powder coat for maximum durability. 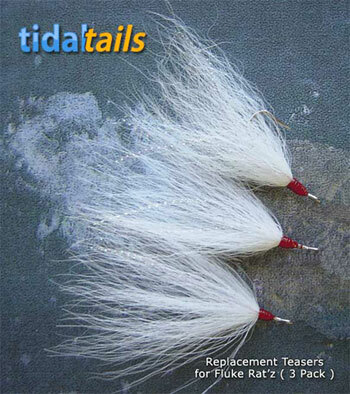 Made with reel Deertail. Available from 1 to 4 ounce and a choice of colors. Perfect shallow to mid depth fluke jig. Same as above with a 8" long tail for weedy bottom. Keeps bait higher. Made with 80 lb Seaguar Fluorocarbon and deertail dressed Lazer Sharp Nickel Hooks, with a post baked powder coat for maximum durability. Available from 1 to 4 ounce and a choice of colors. 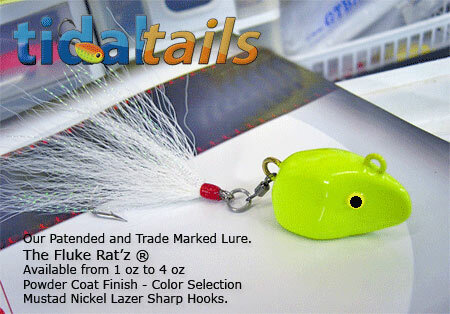 Fluke Rat'z™ Dressed Replacement Hooks. 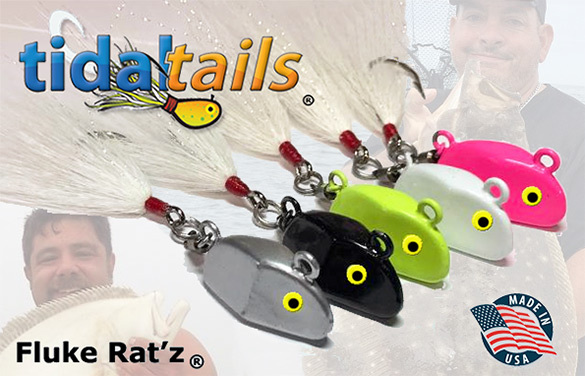 Eagle® Claw Lazer Sharp Nickel Hooks.